Samaritanism is an ancient religion closely related to Judaism, but which has maintained its own version of the Pentateuch, complete with its own script and unique chant. The Samaritan Pentateuch has about six thousand differences from the Masoretic Pentateuch, some of them minor, but others quite significant. Interestingly, some of these variations correspond to variations also found in Septuagint or Vulgate Pentateuch. But perhaps even more exciting for the English reader, Eisenbrauns has just released an English parallel edition: English translations of the Masoretic and Samaritan versions. In this version also, differences are in bold, but some annotations are added (as well as customs related to public reading of the Samaritan text). Appendices indicate where the Samaritan version disagrees with the Masoretic text but agrees with Septuagint versions or Dead Sea Scroll versions. There are also essays by Emanuel Tov, Steven Fine, and James Charlesworth. 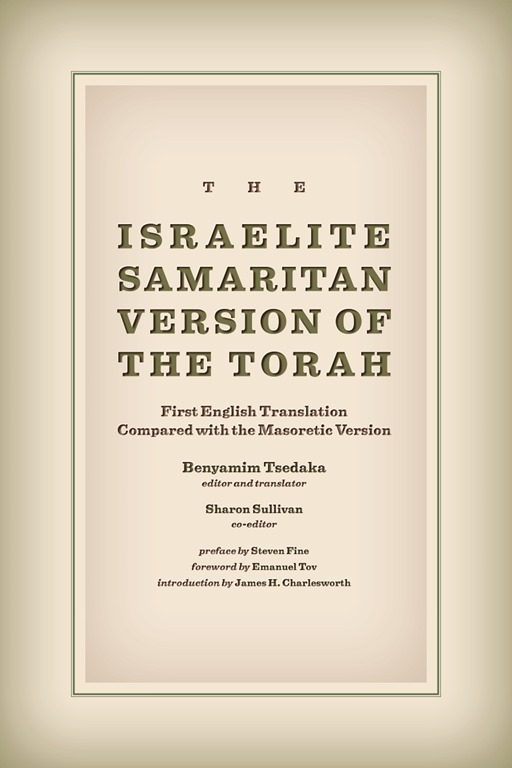 This version looks to useful for understanding better the Samaritan Pentateuch. 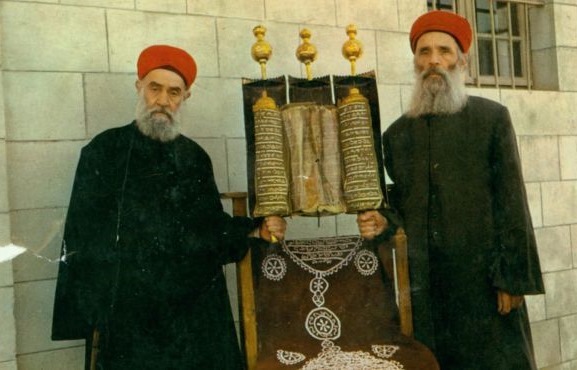 The editing reminds me in some ways of the Drazin-Wagner version of Onkelos Pentateuch which highlights differences between Masoretic Text and the Aramaic Targum Onkelos. These parallel editions are incredibly useful. I would like to renew my suggestion that publishers consider the possibility of a parallel NRSV-NETS (New English Translation of the Septuagint) translation. Even better would be a four-way parallel edition that also added the Masoretic text and the Greek text, as Oxford did with its Parallel Psalter. We have also been discussing such versions in the comments to this post. Samaritanism today is a tiny religion, with about 750 members. The group is so small that intermarriage is now problematic, and genetic defects common. These efforts, and others in Hebrew, can help to preserve at least part of Samaritan traditions. ← Clive James pushes his Divine Comedy on the virtual book tour circuit. Appendices indicate where the Samaritan version disagrees with the Masoretic text but agrees with Septuagint versions or Dead Sea Scroll versions. I wonder if that is the trend? Is there substantial disagreement with the MT but more agreement with both the LXX and the DDS? No, I would not say that it is closer to the Septuagint or Dead Sea Scrolls — just that it agrees with them in some places. I think that for researchers working the in the Pentateuch who speak English, the book will be of wide interest. Before I get into Parallel texts, I’d like to just be able to read an English Translation of this the same I can my other English Bibles.